Hit by a Bus Rules: Children Will Listen…and Maybe the Adults Will Too. Alandra Hileman, a day late, but still wise. Theatre Rule of the Month: …hell if I know. Many years ago, after a steady diet of watching musicals and occasionally acting in church sketches, my parents enrolled me in a summer theatre camp. That camp was where I caught the bug, leading me to meet my high-school mentor, and eventually to pursuing a variety of theatre degrees in college. Well, folks, I have come full circle, because this summer I am teaching theatre camp. And, conveniently for the purposes of trying to keep this log themes to the behind-the-scenes, it’s tech camp. I love teaching, I love tech, and this seemed like a great opportunity to maybe pass on some of my passion to the next generation the way it was passed to me all those years ago. Of course, I sorely underestimated the power of the soul-sucking apathy of high-schoolers, but I can’t really fault them – I was them in high school too. * Do not suggest an effect to a director unless you know with absolute certainty A) how to achieve it, and B) that you have the means to do so within your venue/budget/personnel. Truthfully, I thought I knew better than this. I do not. We start tech on Monday and we only just now decided how we’re going to do this stupid avalanche effect. * Speaking of effects…light boards are complicated, but you can find literally any answer on the internet. This week I’ve been teaching the kids how to program an ETC Ion but referencing a cheat-sheet I found via Google. 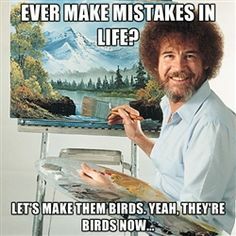 YouTube also has some great tutorials. And if even that fails, there is always that one really smart kid that looks at the board and asks, very politely, “have you tried that button?” You have not. It is that button. Accept your defeat with grace. * These kids likely don’t know anything about theatre. But they do absolutely know that you are probably bullshitting them, so just go ahead and tell them what the deal is. I suspect I gained a lot of respect the first day that I straight up told them I was exhausted and had nothing planned and we were just gonna paint flats. They painted those flats like machines that day. * Design is not Technical Direction. Technical Direction is not Teaching. Teaching is not Design. If you get stuck doing all three, especially when you’re only vaguely qualified for one-and-a-half, try not to panic. The children feed on fear. It’s been a weird, often frustrating four weeks, and I’ve still got one more to go before my camp duties end. But even for all the bullshitting, last-minute scrambles to find lesson topics, and inability to actually use any of the equipment in the theater in a particularly hands-on fashion, I’ve met some great kids. I don’t think I’m about to become a great mentor to any of them, but hopefully they at least enjoyed the playlists. Alandra’s posts other occasional “lessons” she’s learned on Twitter (@LadyBedivere), and on rare occasions updates her general doings at ajhileman.com. Alandra Hileman, time after time. *borrowed, quite rightly, from US Marine Corp. I had great good intentions of writing this blog post a month ago. I thought I should get ahead, because I already knew that this blog would be due within the same 48-hour period as two full-length play drafts and a short writing assignment, as well as the high likelihood of getting scheduled to work. Predictably, it is currently 12:30am on my due date, and I am writing this blog having just gotten home from a work shift. Time is a big deal in theatre too, so there’s no escaping it. Whether it’s your call time, the “unity of time” rule, or just the bright and shining hope of finishing a 10-of-12 tech in only 9 hours, we spend a lot of our…wow, see, let me try that one again…we put as much effort into tracking and measuring time as we do crafting the artistic elements of shows. And since I often work in tech, time cards, timed breaks, and “is it go time yet?” are ever-present phrases in my life. Speaking of which, attempting to talk about time without using time-worn phrases is in fact more time-consuming than I anticipated and to boot I think it’s time I get some sleep. (2am – whoot!). So if you’ve some thoughts on time, share them…if you can spare a minute. You can follow Alandra’s crazy draft-writing marathon commentary on Twitter (@LadyBedivere) and find out what all the crazy is leading to at ajhileman.com. Alandra Hileman, full of reverence. No, I’m referring to this last Wednesday. Ash Wednesday, which all lapsed Catholics and natives of New Orleans will know marked the beginning of Lent, a high-church Christian holiday of fasting and meditation for the 40 days leading up to Easter Sunday. Now, I’m not actually Catholic, but given my predisposition for personal guilt and suffering, I’ve always been drawn to this particular holiday, which involves giving up things you love or enjoy and instead meditating on the divine. I bring this up in a theatre blog because this year the advent of Lent got me thinking a lot about ritual. There’s a lot of connection between superstition and the divine, and between theatre and religion, dating back to the earliest origins of humanity and which many scholars have explained better than I could. But what I’m more interested in these days is the strange and delightful ways in which the modern theatre rituals have evolved. One of the seeming oldest and most enduring rules in theatre, and certainly one of the most exciting to tell stories about, is the rule that we never say the name of Shakespeare’s “Scottish Play” inside the theatre (unless you are performing the show itself and must say the lines) lest you curse the production mwahahahahaha, etc. There are hundreds of stories, some very famous, about terrible tragedies that have befallen those who didn’t adhere to this rule, and a good couple dozen ways to supposedly dispel the curse should someone slip up. And unlike, say, not whistling in a theatre, which originated for an incredibly practical reason,* there is no specifically logical reason that we don’t say the name. I, personally, don’t believe in a curse. But I don’t say the name inside the theatre, both out of deference to people who are genuinely troubled by it, and because I like participating in a ritual that connects me not only to my immediate cast and crew, but to every cast and crew out there, almost like a secular genuflection. We have lots of these traditions and rituals in theatre that have persisted from earlier generations, such as using “break a leg” instead of “good luck” and leaving the ghost light on in the dark theatre (which I’ve always felt is the perfect blend of practical and sacred). And they become one of the many connective tissues of the theater community – we don’t recite prayers in unison with others all over the world, but we do commit the same lines to memory and treat them with reverence. Or intentional irreverence. But it’s still part of what strengthens the bonds we have with everyone else who works with that same text. The other thing I love most about ritual in theatre, besides the way it connects the community, is the way new rituals are always being created and passed on. I have worked with a few companies and individual actors that have very specific drinking rituals which occur at certain points in the process (most often on opening and closing nights, sometimes for other occasions). I know a few companies that hide a certain object or prop in every show. There are great individual rituals too: I know a lot of actors who develop their own specific warm-ups. One of my frequent bosses is constantly making us eat snacks. This week is was “You have to have a Double-Stuffed Oreo. Tech week tradition.” Who cares if it wasn’t before, it is now, because we all did it. 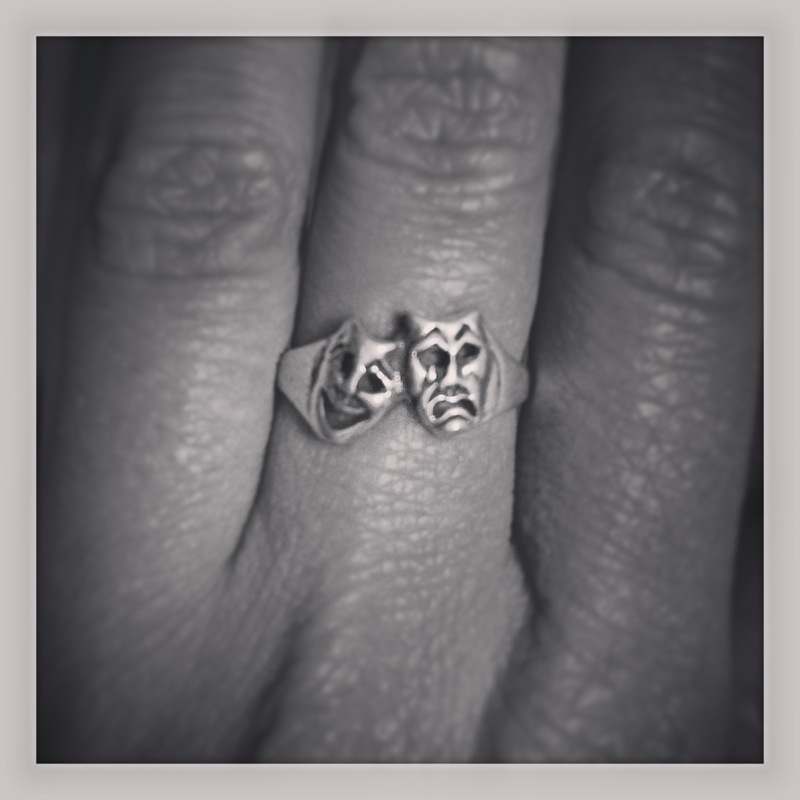 I have a specific ring given to me many years ago that I always wear on my opening nights, the classic theatre masks. I wear it on either the third of fourth finger of my left hand, either to remind me how much I enjoy being “married” to my work, or as my subtle flip of the bird to bid goodbye to a stressful tech as we open. It doesn’t mean anything to anyone but me, but it’s my own contribution to the ritual of theatre. In closing, I offer this anecdote: Very early in my stage management career, I worked with one director on a Shakespeare play who always began the rehearsal process with several sessions of table work. As we were going through the text, and of course getting off on Shakespearean tangents, the Scottish Play came up. This director made a point of basically saying this: “Well, I don’t believe in the curse. But I always want to point out to my casts that the historical Macbeths as far as we know didn’t murder anyone and were very good rulers.” As I recall, according to repeat actors, this little speech was something that happened every year. Despite not believing in the “curse,” this director had created a new piece of the ritual to dispel or satisfy it. And that itself is the beauty of ritual, right? * For anyone who doesn’t know: In the 17th Century, out-of-work sailors would often find work as deck hands (see what we did there) in the theatres, primarily running the rigging of scenic drops and such. They used a complex series of whistles to communicate, so anyone else whistling ran the risk of accidentally signaling for heavy canvas drops or even sandbags to start falling from above.